This is a 100% honest, 100% authentic review comparison of the Amazon Echo and Google Home devices. Dadtography was not compensated in any way for this post. New tech comes out at the speed of light these days and one of the biggest trends is smart speaker digital voice assistants. Not only do they provide great sound quality for music streaming, but they act as a voice command-driven search tool and the center of a home automation plan as well. These devices are built with skills and also learn as they go. Considered by some to be just a trend at first, they're quickly becoming a must-have device for the home. 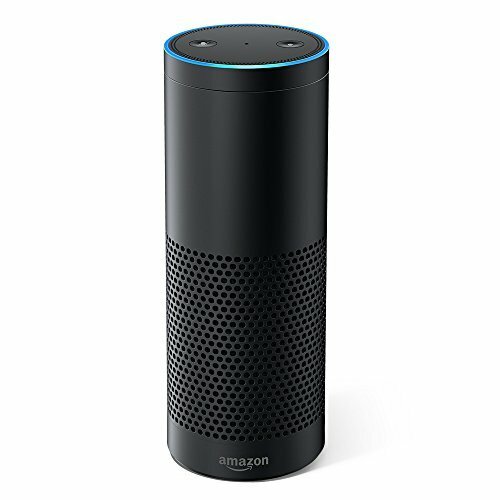 The great debate rages on of which smart device is best - Amazon Echo or Google Home. Our Amazon Echo vs Google Home head-to-head post seeks to answer that question from a geek dad's perspective. Amazon's Echo device has a lot of things going for it, including being the first to market in the smart speaker device category. The Amazon is slightly larger (taller) and available in black or white. It's both taller and heavier than its Google Home competitor, but not by much. When it comes to home automation (my primary area of interest for my device), the Echo (with Alexa) has an edge over the Google Home for the number of devices that it can control. The Amazon Echo also has been measured to have a better WiFi connection than Google Home as well. That's most helpful in larger homes or ones with lots of obtrusive walls to get in the way. The Google Home device wasn't first to market, but it didn't come long after its Echo competitor. Google has made a number of updates to the device recently to make it even more competitive in the smart home device market. Compared to the Echo, the Google Home device is smaller (shorter) and lighter weight. The real physical differentiator is the styling options available for Google Home. While the Echo is available in black or white, the Google device has swappable bases available in multiple colors, including carbon, copper, mango, marine, slate, snow and violet. Both of these devices are really starting to live up to the original hype. As more and more compatible devices and "skills" or compatible features come out, they become more and more easy to justify. I'm personally very excited to see where they each are this same time next year. Overall, the Amazon Echo has the edge in app compatibility and WiFi signal strength. Google Home wins out on the speaker quality and price. 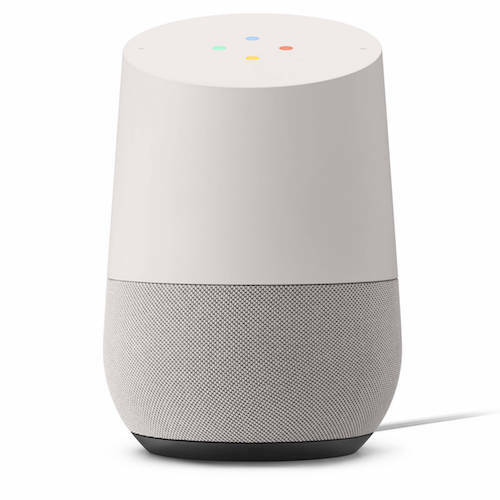 Oh, and with the design options available for the Google Home, that's a differentiator as well. The Geek Dad has to vote on compatibility, though, so the Amazon Echo wins out in our review. The more "stuff" you can do with your device, it's worth a few extra bucks. And if you want a pretty motif candle, then buy a pretty motif candle. If you want a smart home voice assistant, then buy an Echo. What do you think? Do you have experience with either the Google Home or Amazon Echo devices? I'd love to hear your thoughts below in the comments!